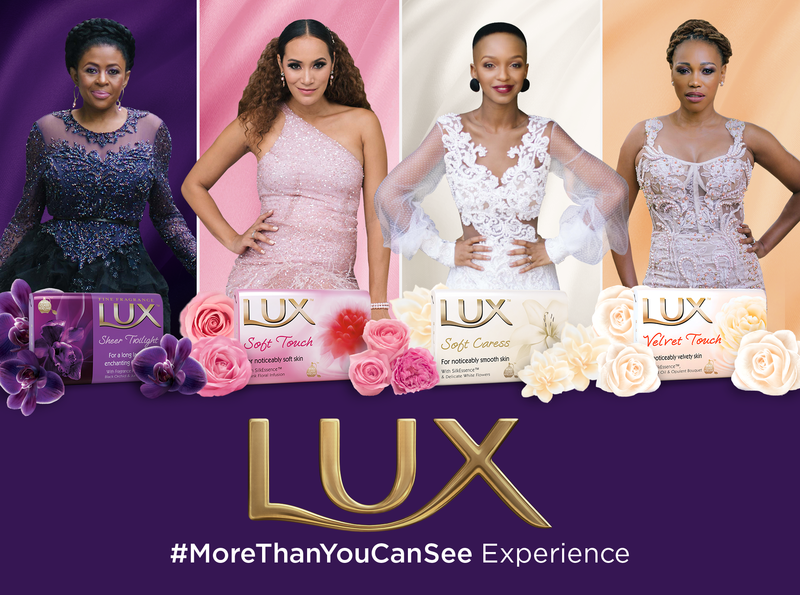 Leading up to Women’s Month LUX wanted to celebrate Women and further strengthen the Lux brand positioning #MoreThanYouCanSee to ensure that South African women understand that LUX believes that women are not just beautiful, but extraordinary too! This year LUX invited some of the most influential women in the country to “The House of LUX” gathering. With the likes of present and past faces of LUX such as Basetsana Khumalo, Jo-Ann Strauss and Sonia Mbele, and of course Nandi Madida, together with an array of influential women associated with the brand, to create branded and authentic content. The “House of LUX” was an exclusive 3 day experience celebrating women which included a fragrance emersion, inspirational and motivational talks, all wrapping up in a gala style dinner. We created a series of videos for each of our 4 LUX faces, telling us their personal stories and what makes them #MoreThanYouCanSee. Each women was aligned to one of the LUX products based on her traits and personality. We wanted to show off a side of our LUX women that our target audience rarely ever see, who they truly are; Mothers, daughters, sisters, wives, business owners, bloggers, entrepreneurs, actresses, designers, directors, producers, musicians, CEO’s and many more. To showcase their many layers, aligned to the many fragrance layers (base notes, heart notes and top notes) that our LUX products have. To remain relevant we wanted to show how the brand has evolved, but has always been true to what it stands for: True beauty and inspiring women to be more. A brand rooted in the heritage of South Africa and empowering women. We created a rich online experience using mobile and desktop media banners together with sequential targeting and an effective remarketing strategy to tell their inspiring stories as a journey- intriguing women to find out more about our inspiring women and the Lux products they compare with best. We ensured that after a consumer had watched one of our videos they were served another, allowing them to complete the full content experience – Echoing the notion of #MoreThanYouCanSee. All media and content pushed to the LUX website, where viewers were able to watch the full “House of LUX” experience, stories and read articles further landing that LUX believes women are more than you can see and the product collection and benifits. The aim of the campaign was simple – No prizes, no gimmicks, just a clear call to action for women to tell us What makes you #MoreThanYouCanSee, to inspire and empower women to be more and celebrate it. Furthermore the campaign resonated so well with our LUX faces that they continue to post social content driving the hashtag and core messaging sharing their personal views of the movement outside of their contracts. Click-Through Rate: Some receiving over 6% click-through rate vs the client industry related benchmark of 0.2%. Viewability: Some achieving 89% viewability, with overall success achieving above the client industry related benchmark of 60%. Over the course of the 3 day “House of LUX” experience, our content received 2 054 mentions, with over 1 559 unique authors. This resulted in 12 058 743 opportunities to see, at a value of R2 728 620 indicating the leverage received from the event and through our influencers.